Last week I took Breath of Light to E3. For those who don’t know, the Electronic Entertainment Expo is a massive video game show that fills the LA Convention Center to bursting. There are tens of thousands of people, a riot of noise, colour and game-related statues. 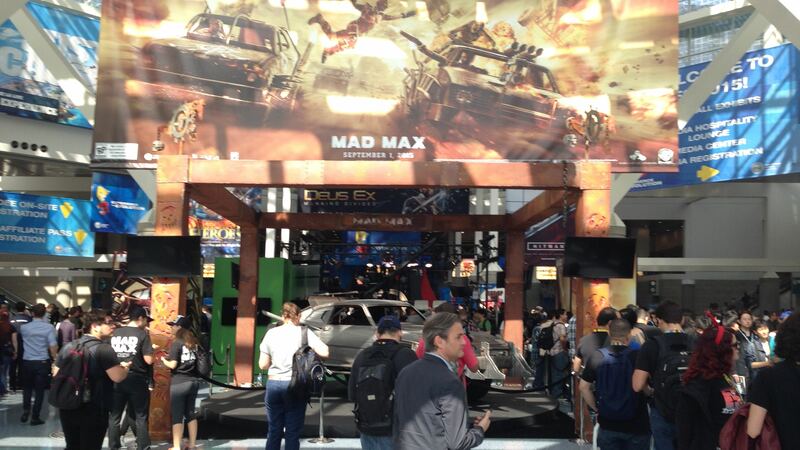 There was even a car from Mad Max. This is just the entrance. The hall with the games is behind all of this. In the grand scheme of things, Breath of Light isn’t a huge game, and we were surrounded by huge games. 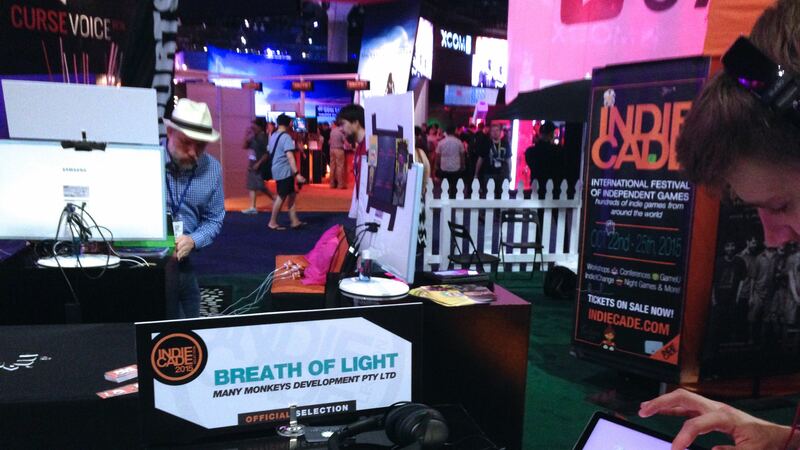 We managed to get our place in this massive trade show thanks to IndieCade, an international independent games festival. We sent our relaxing puzzler into the IndieCade submissions a few months ago and crossed our fingers and were super proud to have it earn a place at the IndieCade E3 Showcase by being chosen as one of the “Official Selection” titles. We were in the mobile section in a cluster with a number of amazing games: Synonymy was right next to us on the left, then there was Earth: A Primer, then Metamorphabet and finally Face It! It was amazing company. I saw Chris (Synonymy) and Chime (Earth) present their games at the GDC Experimental Gameplay Workshop which is one of the most packed talks at the Game Developers Conference (which is the big one for game developer conferences). I’d seen Patrick (Metamorphabet) win the Independent Games Festival this year for Excellence in Visual Arts. Including Fabian (Face It! ), that was our little crew and they were a fantastic group with which to share a little corner of E3. All around us were massive screens, posters and stands. Even in the IndieCade section everyone else had a big monitor showing trailers or what was happening on the iPads running the games. For Breath of Light, we went super minimal. Just two iPads and some headphones. It seemed about right. With our noise-cancelling headphones powered up, we would be a quiet oasis in a sea of distractions. Our plan was solid, except for the fact that many people couldn’t see our oasis for all the distractions. I found that the best way to get people to play was to grab them and ask if they wanted to be relaxed. I also found that buying love with Tim Tams worked too. It was pretty great. We had developers, publishers, retailers, exhibitors and media people through. I talked to people from the Cartoon Network to the LA Times. There was someone there with a motion controller that you squeeze to press the button. We heard from someone our game had been shown and played at a gallery in Paris. Amanda from The Daily Crate checked us out too. I had been to E3 as a games journalist before, but this was something very different. It was nice to be a stationary point in the show. A moment of rest for weary travellers. It was fantastic to be welcomed into the IndieCade Festival family and show our game alongside amazing and interesting and gracious developers. It was great to meet some of our players too. Without you all of this is a lot less fun.